Headline Just a few minutes, Checking your Order Status Online ! 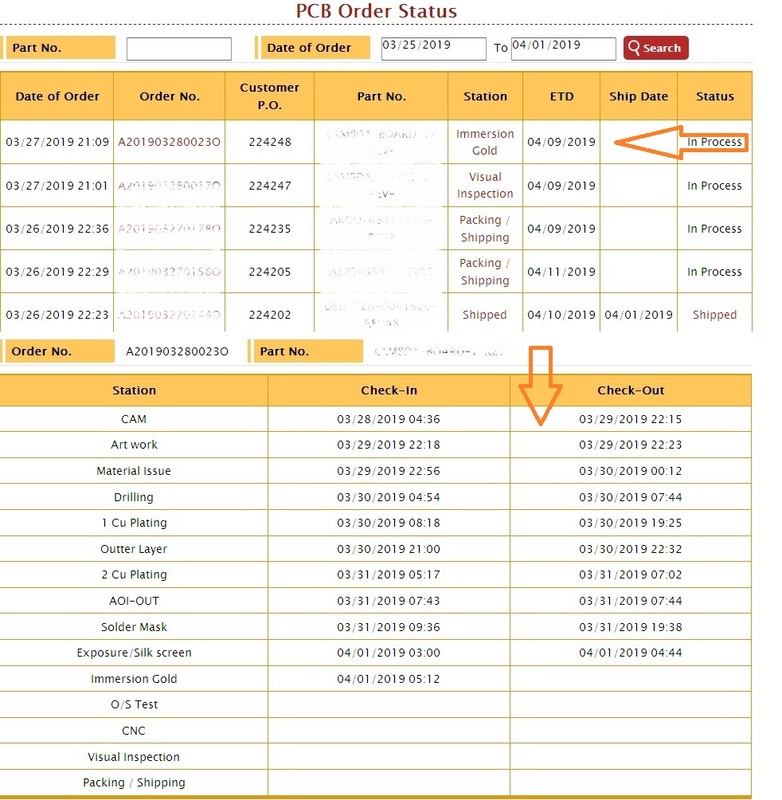 Online WIP inquiry system is a tool that can quickly query the status of shipments. You can quickly know the progress of PCB production through the website without contacting the customer service. Anytime, Anywhere, you can be used to checking the progress of your order by yourself! The online WIP inquiry system could provide easier production management, reduce the time and cost of manual queries, and improve individual work efficiency. Just as simple as that!